Pete is a serving Chief Inspector with 26 years’ service, the majority of which has been spent on Specialist Operations. In his current role he is a Specialist Tactical Firearms Commander, involved in the management, command and deployment of firearms operations. He has commanded and supported events of National and International significance including the Royal Wedding 2018, the recent visit of President Trump, State and Ceremonial Events, international protected visits, Major Crime and high profile sporting events. Pete designs and delivers firearms command training and supports in assessing on national specialist and general command courses across the UK. 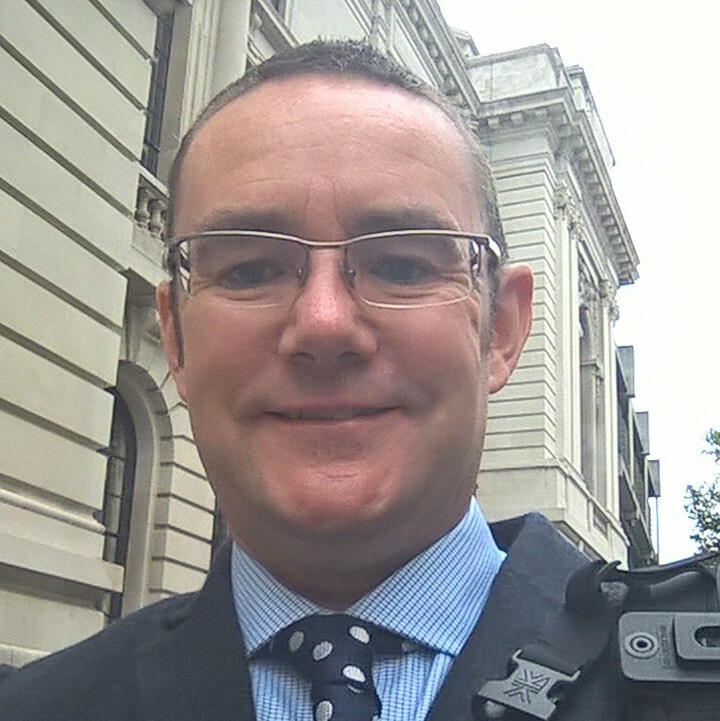 Pete is an accredited Security Coordinator, providing advice and developing security plans to minimise, mitigate and manage threats towards significant events. He has recently led a project to review and implement Hostile Vehicle Mitigation within Windsor, developing new tactics in this area. Prior to specialising in Firearms, Pete was the Head of Public Order, providing specialist advice, operational support and developing training across the full range of public order deployment. He designed and launched the previous Initial Public Order Commanders Course and supported in the development of the Advanced Public Order Commanders Course, delivering both across the UK. Pete has delivered Public Order Command to senior officers from across the World and attended International Events as Key Note Speaker. Pete maintains his accreditation in Specialist Firearms Command, CBRN and Counter Terrorism Security Coordination, he is able to draw on specialist operational command experience. He is an accredited Command Trainer, assessor and supports in developing national policy, doctrine and exercise umpiring. Prior to his career in the Police Service, Pete served for five years in the Army. He is passionate in transferring his experience and knowledge and has the competence and confidence to deliver a range of command level training packages.